Christian Lindner’s insights on how he revived the FDP hold lessons for liberal politicians everywhere. Historically, political liberalism and the political forces struggling to promote freedom in their societies have seen ups and downs. Germany’s more recent history is a case in point. The liberal Free Democratic Party – or FDP – was represented in Parliament without interruption for 64 years. It played an important role in coalition governments for no less than 45 years. This success story came to an end in 2013. The defeat of the party in the general elections of that year was more than a minor episode. For many, also outside the country, the FDP’s debacle signaled a deeper, structural crisis of liberalism. Four years later, Germany’s liberals are back – risen from the ashes like a Phoenix. This followed a process of organizational and programmatic renewal. At the center of the remarkable renaissance of political liberalism in Europe’s heartland stands party leader Christian Lindner. With strategic focus, communicative skill and forceful determination, the 39-year-old politician led the party out of oblivion. In a 338-page monograph titled Years in the Shadow. 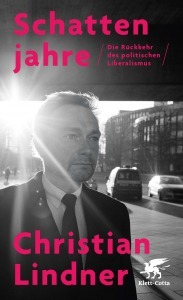 The Return of Political Liberalism, Lindner provides a personal step-by-step account of this effort. The book is written for a German audience, many details are of limited relevance for readers outside that country. However, I find Lindner’s programmatic discourse and his detailed descriptions of how he brought new life to a completely demoralized political organization relevant also for readers in other parts of the world. Everyone with an interest in the programmatic development of modern liberalism and state-of-the art party-and-election management will learn from what Christian Lindner has to say. The narrative begins in 2013 with the defeat in the elections. After decades in power, a majority of the electorate had developed a negative perception of Germany’s liberal party. “The party seemed like a stinking corpse with whom no one wants to associate under any circumstances,” writes Lindner. Lindner’s answer to the malaise was short and clear: To regain the voters’ trust, the party needed to sharpen the liberal profile and stop compromising in basic matters of liberal principles. In parts, Schattenjahre (Years in the Shadow) resembles a manifesto of modern liberalism. I find the book highly educative and stimulating, and also noteworthy in times when politicians are often criticized for lack of substance. Not all may like Lindner’s liberal messages. But after reading the book, no one will say his positions are not firmly based on well-defined political principles. 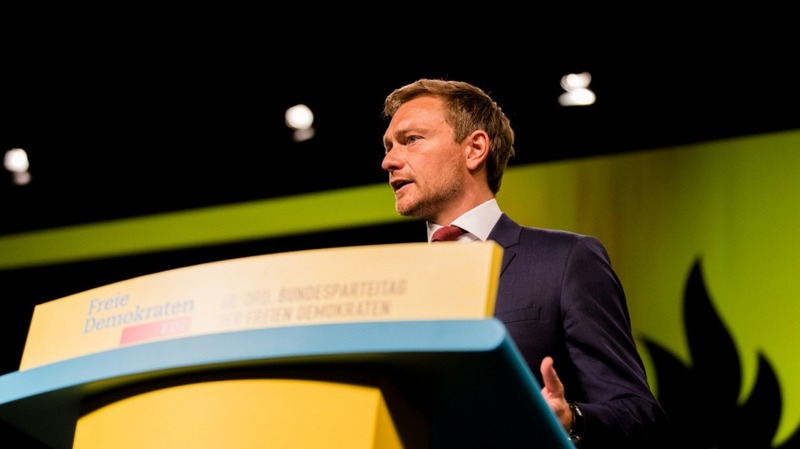 Based on these, Lindner presents his policies on important challenges facing our societies – such as employment, migration, education, digitalization, to name but a few that played an important role in FDP’s electoral campaign 2017. Liberal individualism is not a camouflage for egoism. To the contrary: When a liberal is asked what concerns him, his answer is not the ego. His answer will be: For you, for your right to be happy – here and now. For your chance to take your life into your own hands yourself. For us, it is about you, because we believe in you. And because we trust you and the others. Lindner then goes on to draw the line between a liberal understanding of social justice and a socialist view. “The political left understands social justice as the equality of material conditions of life.” Therefore, socialists favor the redistribution of wealth and state interference in liberty. For them, eventually, all private property should be abolished. In the end, socialists like equality more than freedom. Opposed to this perspective, “liberalism supports freedom and the dignity of the individual,” and this leads to basic equality regarding human and civil rights. Before he delves into details of liberal instruments to modernize Germany’s welfare system, Lindner shares his perspective on the timeless – and once again very timely – debate on inequality. The inequality in society is not a scandal, as many would want to make us believe. 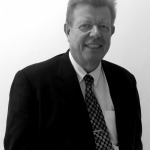 It is acceptable – under certain conditions. The strong is not allowed to be strong all the time and automatically, the weak is not allowed to be weak all the time and automatically. The state must safeguard competition, the chances need to be fair. Real social justice, Lindner concludes, is not determined by equality in the distribution of material goods for all but by the fairness of chances and the equality of respect for all. In his four years at the helm of the party, Lindner has done more than spearhead the effort to modernize the party program. He has also pushed for a reform of the party organization. “If you want to inspire people for freedom, you must first free yourself,” is probably my favorite sentence in a book in which I highlighted numerous paragraphs. To inspire and reinvigorate the party rank and file was the main strategic focus at the outset of the process. “A party that wants to elevate the individual, needs to elevate its members first,” writes Lindner. In line with this credo, the rights of the rank-and-file were increased, and more avenues for members’ participation in the decision making process institutionalized. Importantly, the party leaders looked to successful liberal parties in the Netherlands and Austria for orientation. In the end, and after four years of hard and strategic work, the electorate treated Germany’s liberals to a triumphal result on September 24, 2017. With 10.7% of the vote, the FDP soon joined talks with the aim at forming a coalition government in Berlin. After weeks of inconclusive negotiations, Christian Lindner left the talks in late November; gone were the prospects for the party to join the federal government. For this move, he was strongly criticized. After reading his book, I understand Lindner’s motivation better than before. A possible coalition with Angela Merkel’s conservatives and the Green Party would have forced the party to accept many compromises. In the eyes of a principled leadership, this would have compromised the newly attained credibility of a political force that is serious about liberal change in Germany.